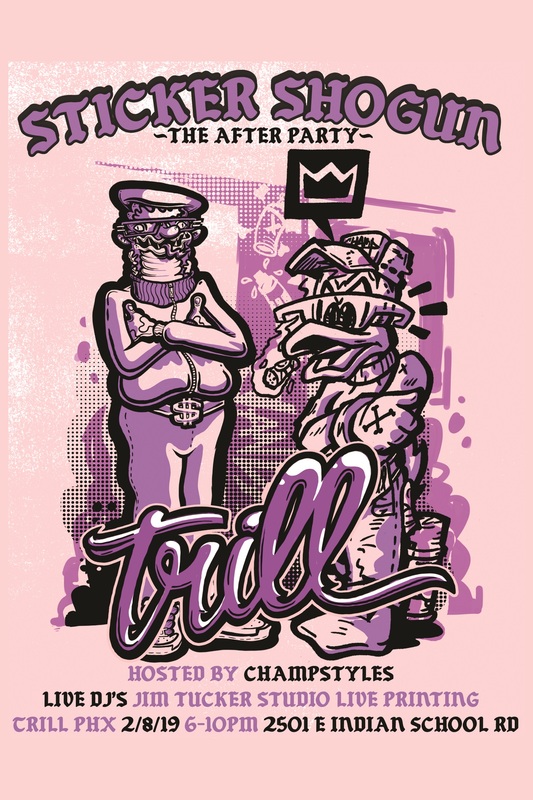 The official Sticker Shogun After Party at Trill February 8th from 6pm – 10pm. Live DJs, Live Printing. Hosted by Champ Styles. This is a free show and it’s all ages!